Info about Dubrovnik, Croatia. What to do, what to visit, where to go? People say about Dubrovnik, that it is a city with high walls and narrow streets, but owning a vast viewpoint. You can easily get what they mean when you walk on the city wall. You can enjoy both the fresh sea air and the sunset on one side and on the other side, the incredible view of hundreds beautiful houses, churches and fountains. Dubrovnik is on the south eastern point of Croatia, the lower Dalmatia region. 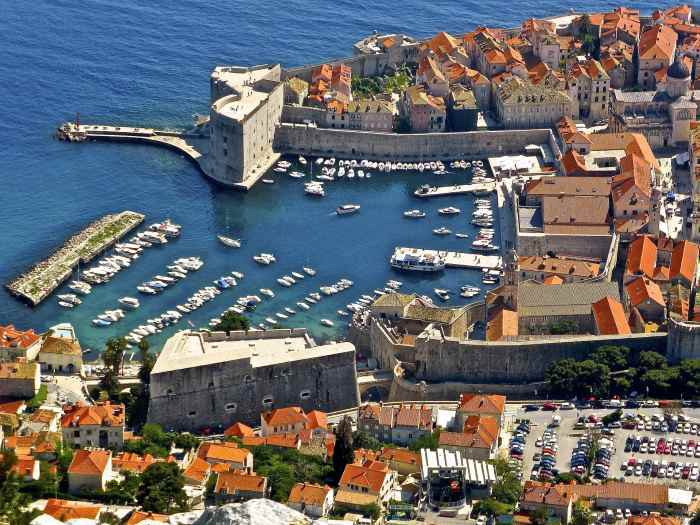 Dubrovnik’s walled Old Town is compact, with an area of a just 1.5km (1 mile). Towards the eastern side of the Old Town is the Ploce district, with some luxury hotels and accommodations. To the southwestern part is the local area of Lapad, where many beaches and hotels can be found; and to the northwest part of town is Gruž, the harbor from which ferry boats go up the Dalmatian coast, and also to the nearby Elaphiti islands, Mljet and Korcula. Dubrovnik is safeguarded by UNESCO due to the exceptional architecture and location. It was constructed in the 13th century and suffered a disastrous earthquake in 1667. Regardless of what, the town even now maintains its unique shape. You’ll find so many examples of Gothic, Renaissance and Baroque building in Dubrovnik, masterfully blended and harmoniously organized, to give to the town a rare and unusual sight. Dubrovnik is one of the most visited cities at the Adriatic sea for a reason. The city lies in the very South of Croatia and is perfect for a weekend trip from anywhere in Europe, preferably in late spring or early autumn. 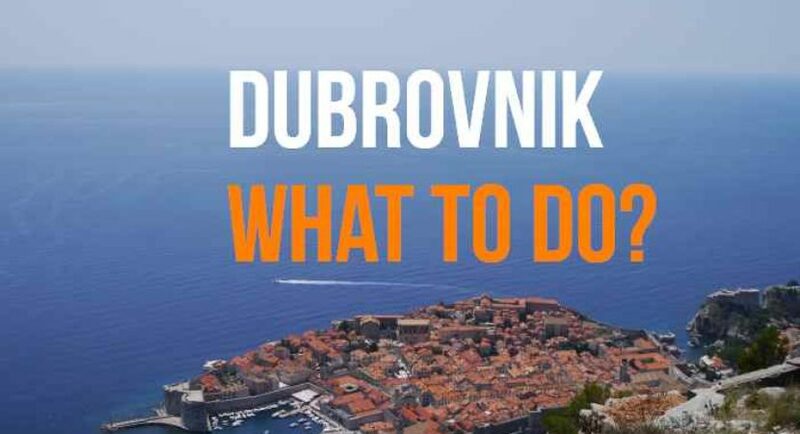 If you already have plans to go there, better don’t miss my Guide to Dubrovnik – The Pearl of the Adriatic. 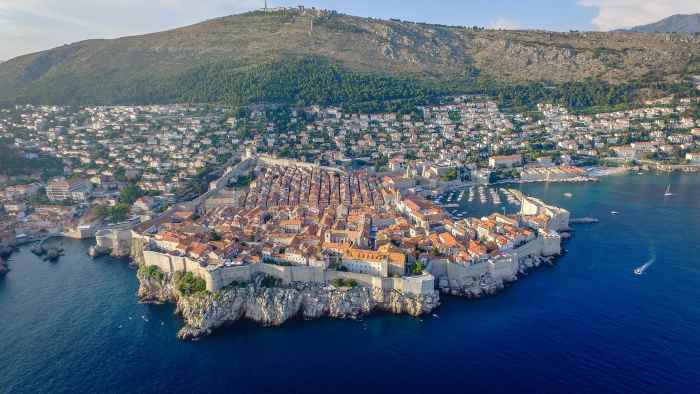 When it comes to things to do in the city, the best is to take a walk on the Old City Walls of Dubrovnik (Croatian: Dubrovačke gradske zidine), that are of course on the UNESCO list of World Heritage Sites one of the most picturesque Dubrovnik attractions. The city walls were partly rebuilt after the horrible 1990s war, lead you 1.2 miles all around the Old Town Dubrovnik and offer unbelievable views of the place from any kind of angle. The main entrance to the Walls of Dubrovnik can be found just outside the main gate to the Old Town, where you need to buy a ticket for 70 Kuna which is round about 9 Euro or 11 US-Dollar. I know that might sound like quite an amount of money, but believe me it’s totally worth every penny. There is no denying that Dubrovnik can get busy with tourists, so if you are looking to escape the crowds take a foot passenger boat from the main harbour to Elafiti. Boat tours are also available with packages including lunch and various stops to enjoy swimming in the sea and the isolated beach coves. For a truly breathtaking way to enjoy the views over the city and the crystal blue waters of the Adriatic, take the Dubrovnik Cable Car. At the top you can enjoy exploring the Imperial Fort built by Napoleon built in 1812. If you are looking to enjoy a romantic treat while in Dubrovnik visit the Panorama Bar & Restaurant for some exquisite local cuisine while soaking up more of those breathtaking views. City Walls: Make an early start, as the walk around the city walls offers little shade: from noon onwards in summer it is extremely hot. It can also get uncomfortably crowded when cruise ships dock and several thousand people can descend on the city each day in high season. This tour is intended as an introduction to the city; Dubrovnik has so much to see that to do it justice you really need more than one day. 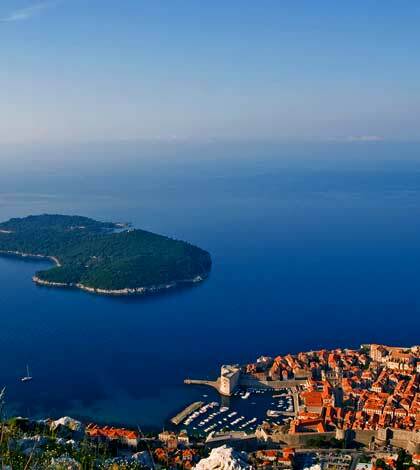 In case you are an enthusiast of cultural tourism, then Dubrovnik will probably be an ideal trip place to go for. You can view a unique combination between the culture of the East and West. The great location between Europe, Africa and Asia and exceptional historical remains, built near the sea, made the town a most popular destination for vacation for lots of people worldwide. It provides housing for many visitors, who can make here the vacation of their lifetime. You can meet and get in touch with many interesting individuals in Dubrovnik. It presently evolved into a favorite spot for a lot of movie and show business stars. Therefore, do not be astonished if you meet Tom Cruise walking on the coastline there. Croatia holidays, where to go? Things you cannot afford to miss.